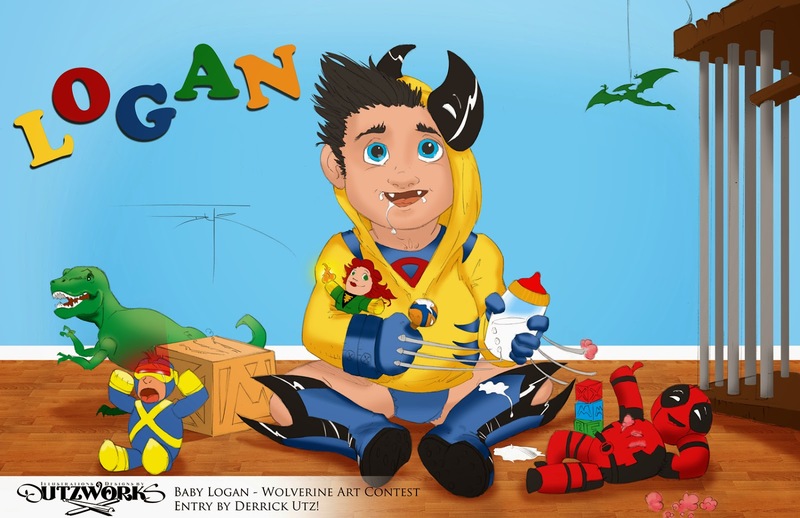 DutzWorks - Illustration and Graphic Design by Derrick Utz: Wolverine Art Contest Entry!!! Ahoy there! There is a local comic shop here ( Collected ) that started hosting a monthly art contest based on different comic and pop culture properties. They have had competitions based on everything from Captain America to Doctor Who. I joined in on a few and then missed a great deal from the last few months because i just wasn't working the production time into my schedule. This November, in celebration/remembrance of the current Marvel event, the death of Wolverine, the theme of the contest was that big, clawed, hairy Canadian hero, Wolvie! 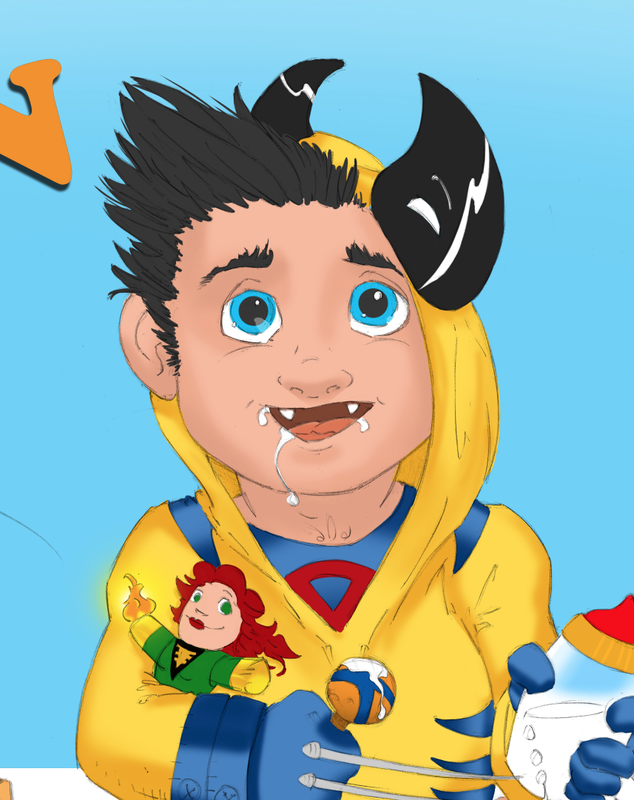 Well, while i was trying to decide on what super detailed beat-down scene i was going to draw, my awesome wife suggested something completely out of left field, illustrating a baby version of Wolverine! Her idea was brilliant and below is what came of it! 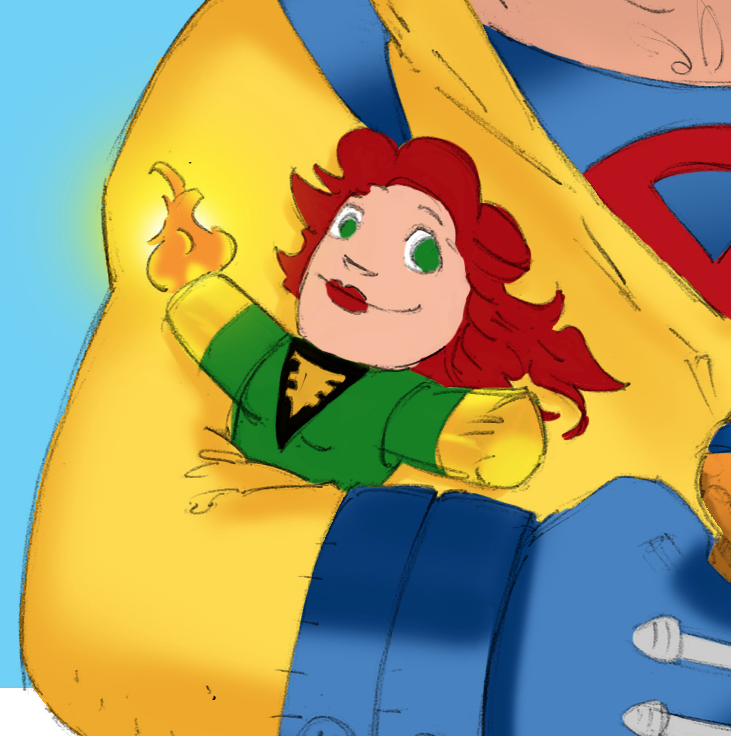 I added the pencil layout and close-ups of the fun little details I put into the drawing from the impaled Deadpool to the Phoenix/Jean Grey doll wrapped in his arm. 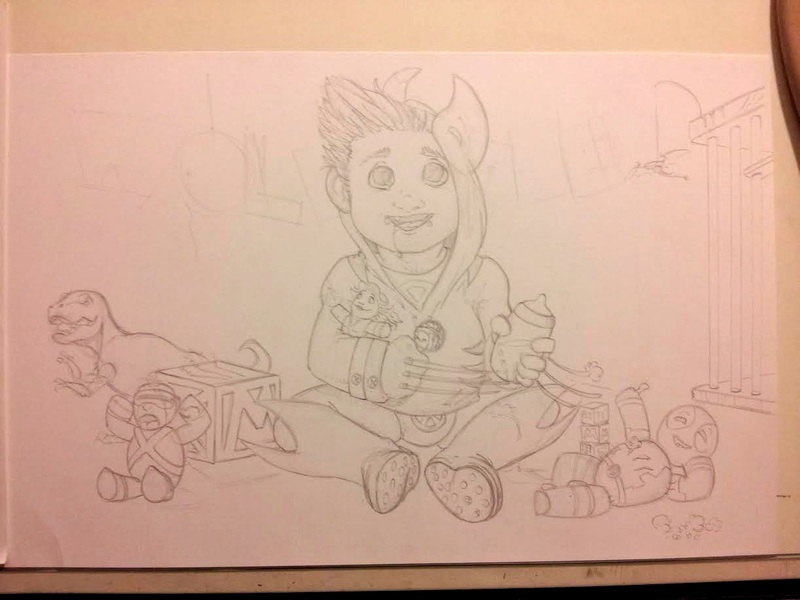 I also added the pencil version of the art so you can see what it looked like before it was colored! It was a lot of fun and a good deal of time to color so I just barely had it turned in on time! Whew! As of the time of this post the judging is still going on so I will update it and let you know if I place! 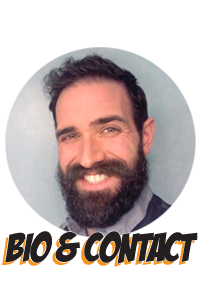 Thanks for looking in and my very best to you! You can see this and more on my art Facebook page here titled DutzWorks! 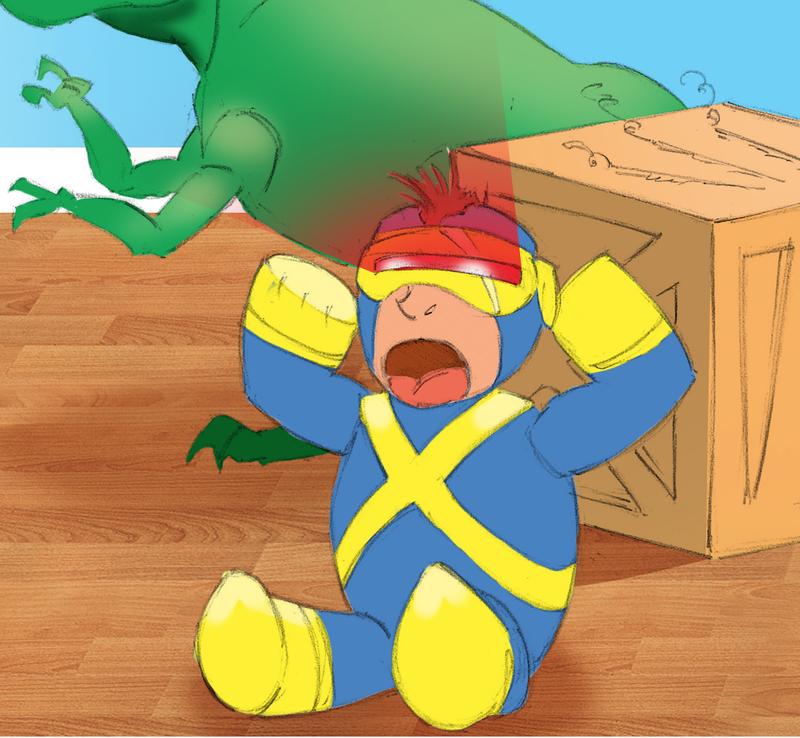 This piece won 1st place in the contest! That is awesome especially when added to the fact that there were some great artists in the competition! What an honor! Just wanted to let you know and my very best to you! !